Please note that if you want to order National Flags for Mainsails you must do it directly from the licensed suppliers. Click here for more information about the current list on the WS website. Sails are required to carry an official 470 royalty Sail Sticker before they can be certified and used for racing. 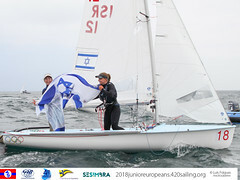 You should contact your 470 National Class Association (NCA) or World Sailing National Sailing Authority (MNA) for details of available official measurers who are authorized to certify your new sails, if they are not coming ready-to-race with a WS In-House certification sticker, from a sailmaker which is in the WS IHC scheme. 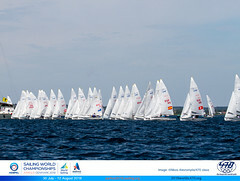 Sail Stickers can be ordered only from the International 470 Class Association. Please be aware that the stickers will be mailed from Greece and may take up to 7 days to reach their destination - so please order well in advance of when they are required. Sail Stickers are charged at a fixed fee of EUR 17,00 per sticker, whether they are sold to a National Class Association or to a sailmaker. This price is restricted and final and shall be the same price which is charged to sailors by the sailmakers. All sailmakers will be requested to record the price of the sail stickers separately on the invoice for sails. 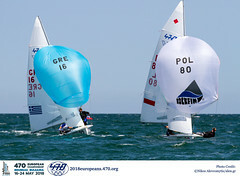 Sailmakers can buy the sail stickers at a price of EUR 17,00 either from their respective National Class Association or directly from the International 470 Class Association. For orders of fifteen (15) sail stickers and more, the price of EUR17 per sticker includes postage and packing. For orders of less than fifteen sail stickers, postage and packing charges will apply. Buyers wishing to have the stickers sent by courier should cover the cost or arrange for payment upon delivery if they have a working account with the courier. For any payments made by PayPal, there will be an additional transaction fee of EUR 5,00 to cover the PayPal fees. Please email orders, giving details of the number of stickers required and full mailing address to: sailstickers@470.org and an invoice will be sent to you for payment if requested. CLICK HERE for details on how to pay for Sail Stickers.